It's summer, and we aren't the only ones spending time outdoors. Those pesky mosquitoes are buzzing around finding their next victim. And, no one likes mosquito bites. Instead of hiding indoors, follow these tips to help you have a more mosquito-free summer. There are certain types of herbs and plants that mosquitoes don't like. So spend a little time adding the following to your outdoor space. Rosemary - this is a woody perennial that has an aromatic essential oil mosquitoes detest. Lavendar - a highly aromatic herb that mosquitoes do not like. Have several post of lavendar around patios, porches and decks. Citronella Grass - this is the most obvious as it's the most used for mosquito repellent products. Basil - the pungent smell of this herb will repel mosquitoes and flies. Not only does mosquito repellent incense work because they detest the most common aromas in such incense sticks (citronella, eucaplytus) but they hate smoke. When you use some mosquito repellent incense sticks around your seating area outdoors, mosquitoes are going to avoid coming anywhere near the aromatic smoke. 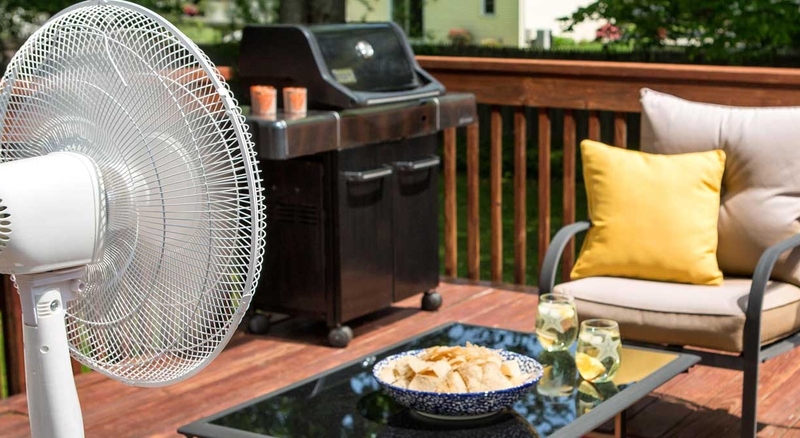 You're going to have less mosquitoes around when you run a patio or porch fan. The circulating air is a great mechanism for blowing the pesky insects away while keeping you cooler outside. Of course, the best way to keep your body free of itchy bites is to spray yourself with repellent spray that includes at least 35% DEET. There are some all-natural sprays available on the market, but the reality of an illness such as the Zika Virus should really outweigh any concern of the chemical DEET in body sprays to deter mosquitoes. Spray on exposed skin as well as clothes. Here's hoping these tips for having a mosquito free summer will have you spending time outdoors.